Enes Riccoboni of Mesa, Arizona, went to meet the Lord on December 13, 2017. Enes was born in the Bronx, New York, on September 11, 1935. She graduated from Christopher Columbus High School. Enes was married to Peter on February 27, 1960. They were married for 57 years. 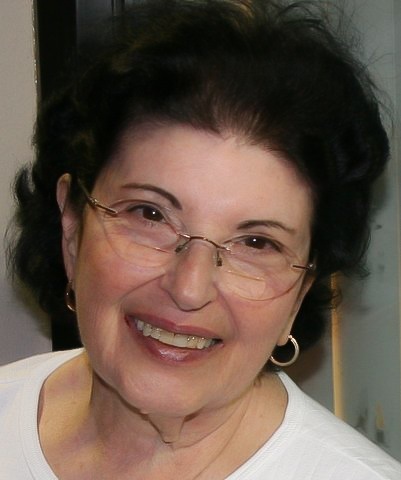 Enes was a devoted wife and homemaker for many years. She also worked as a Lead Technical Seamstress for TRW Safety Systems automotive division. During her tenure at TRW, she worked alongside the divisions’ senior engineers to design and prototype some of the first automotive safety airbags and inflators. Many of these airbags are currently manufactured and used in vehicles around the world today. Enes was a devout Christian and accepted the Lord Jesus as her savior in 1969, and she dedicated her life to lead others to Christ. Enes is survived by her husband Peter Riccoboni, and their three sons Kevin (Norma), David (Renae), and Denis (Stacey). Enes is also survived by her granddaughters Melissa(Corey), Nena, and Sarah, and great grandchildren Isiah and Charlee. She also leaves a brother Morris (Margie). The visitation service will be held at 6:00 – 8:00 pm on December 21st in the Bunker Chapel located at 3529 E University Dr. Mesa, AZ. Funeral service will be held at 10 am December 22nd at Bunker Chapel. Burial will follow directly at the Mesa Cemetery. Pallbearers: Kevin Riccoboni, Chris Ambri, David Riccoboni, Mike Ambri, Denis Riccoboni, Steve Ambri, Gino Riccoboni, Morris Ambri. Pastor John Marok of Victory’s Vision Christian Church will be officiating. Enes was filled with the love and Joy of the Lord. I always considered her to be My Other Mother (MOM) and she always Treated me as though I was one of her boys. The love and guidance she gave me made me a better man. That love She poured into our Hearts lives on. She will be greatly missed. May we never forget the many fond memories and the special way she always made us feel. My deepest Sympathies to the Family and many friends. My heart goes out to all of you, so very sorry. What a wonderful loving woman, sadly missed. We are so sorry for your loss. We had fun camping with her and being her neighbor.